Are you looking to know how to hack wifi password or ways of wifi password hacking? This recently discovered flaw will help you hack any WPA/WPA2 network. Wifi password hacking has become popular as people are always in search of the free internet. But due to the advancement of technology, hacking wifi, and cracking passwords have become a difficult task to do. The reason is due to the implementation of WPA/WPA2 (wifi protected access) protocols. They made modern routers more secure and less prone to hacking. How Was The New Wi-Fi Hack Discovered? Luckily security researchers have revealed a new way to hack these modern wi-fi routers. This new wifi hacking method was accidentally discovered by Jens Steube (lead developer in popular password-cracking tool Hashcat) while he was analyzing the newly-launched WPA3 protocol. According to him, this wifi hacking will explicitly work against WPA/WPA2 wireless network protocols with Pairwise Master Key Identifier (PMKID)-based roaming features enabled. This wifi password hack will surely allow attackers (aka.Hackers) to recover the Pre-shared Key (PSK) login passwords. 4-Way Handshake based PMKID stands for pairwise key management protocol. According to Steube (security researcher), previous wifi hacking methods requires someone to log into the network so that attackers can capture EAPOL (Extensible Authentication Protocol (EAP) over LAN ) which is a network authentication protocol used in IEEE 802.1X. Now we are not sure about which vendors this wifi hack technique will work. But Steube said it will work against all 802.11i/p/q/r networks with roaming functions enabled (most modern routers). At last, we want to admit that this wifi hack won’t work against next-gen WPA3 simply because of the new harder to break protocol. 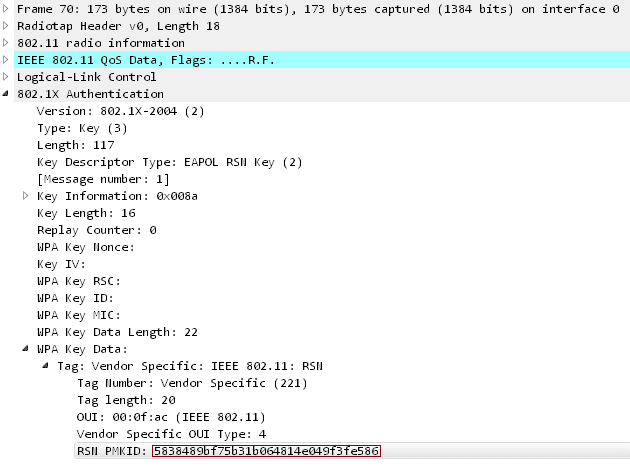 So this was how to hack wifi password using the new WPA/WPA2 flaw. We will also like to advise our readers not to download online tools which claim to be a wifi hacker tool, as they may contain malware. How use it with kaly-linux ? just do that 3 steps in terminal or there are more lines of commands ?! yo dont lol its a joke. How Can i Hack Router Mac Address If i Have Wifi MaC address ? Please Reply fast. Nothing especialy.Diference is only how to get hashed password,by handshake or by this way.Any way,you need worldlist method or bruteforce method.